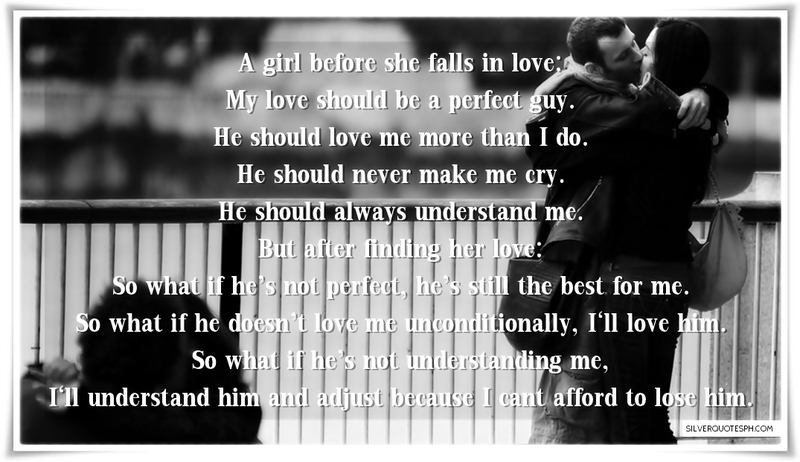 A girl before she falls in love: My love should be a perfect guy. He should love me more than I do. He should never make me cry. He should always understand me. But after finding her love: So what if he’s not perfect, he’s still the best for me. So what if he doesn’t love me unconditionally, I`ll love him. So what if he’s not understanding me, I`ll understand him and adjust because I cant afford to lose him.